We have been amazed at the number of “Complete Guide To Treadle Sewing Machines” books we have sold in the past few months! It seems like the old/antique treadle sewing machines are making a comeback, and immediately the new buyers want to know more about the machine and how to get it back in working order, if it isn’t currently working. I learned how to sew on my mothers’ treadle sewing machine, and I wish I had it now. It would be fun teaching my grandchildren how to work the good old treadle machine! For all those who are buying the treadle sewing machines, you may find out quickly that you need to get a new treadle belt. The belt is probably one of the most important aspects of getting the machine to run properly. The belt can’t be too loose or too tight. We carry the premium leather treadle sewing machine belts – 72″ x 3/16″, with the connecting hook. For a very limited time, we are putting them on sale – regularly $10.00 each – now $5.95 each, and they come with instructions on how to attach the belt. 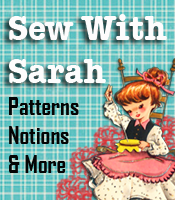 If you have a treadle sewing machine or know someone who does, pass this information along – the sale is for a limited time. The Twelve In One Magic Ruler is a complete set of measuring devices all in one easy-to-use see-thru adjustable tool. And it’s all done with the twist of a knob!! This is the absolute BEST tool in my sewing room! The only see-thru adjustable measuring tool that can be used for altering commercial patterns, making quilt blocks, square templates for craft projects, scalloped edges on skirt and dress hems, quilts, pictures, placemats and other crafts. Quickly locate fabric’s true grain with the 45 degree angle – a must for properly draped garments. Easily locate bias for cutting bias strips. The 12 in 1 Magic Ruler comes with a 15 page “Idea Book” that is complete with illustrated instructions PLUS ideas and instructions for a variety of projects. Whether you prefer sewing, quilting, crafting or woodworking, the 12 in 1 Magic Ruler will become the most frequently used tool in your work room. 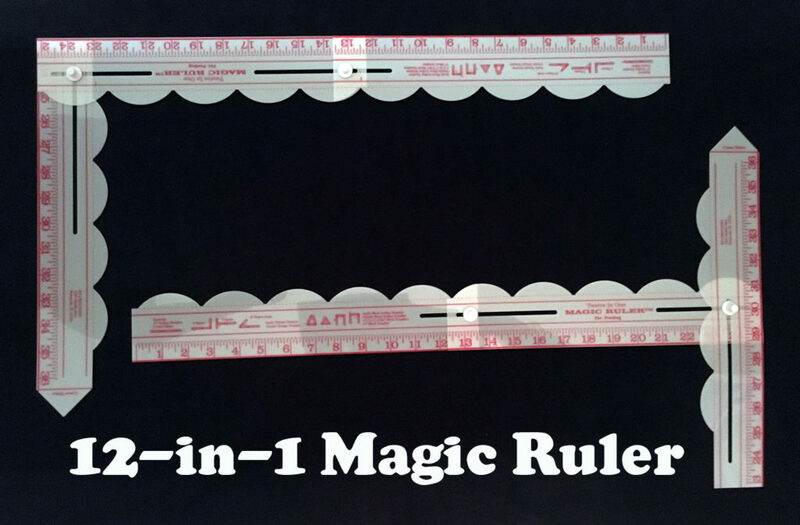 The 12 in 1 Magic Ruler sells for $19.95 and we’re EXTENDING the sale price for another week (through July 24)! We have marked the Magic Ruler at a 25% discount ($14.95) and have had DOZENS of customers order this ruler. This is the absolute BEST tool in my sewing room! Grab your 12 in 1 Magic Ruler and get started using this easy-to-use see-thru adjustable tool! No promo code necessary! The Twelve In One Magic Ruler is a complete set of measuring devices all in one easy-to-use see-thru adjustable tool. And it’s all done with the twist of a knob!! The 12 in 1 Magic Ruler sells for $19.95 and for ONE WEEK ONLY (7 days – July 11 to July 17) we are marking the Magic Ruler at a 25% discount ($14.95). Grab your 12 in 1 Magic Ruler and get started using this easy-to-use see-thru adjustable tool! No promo code necessary!